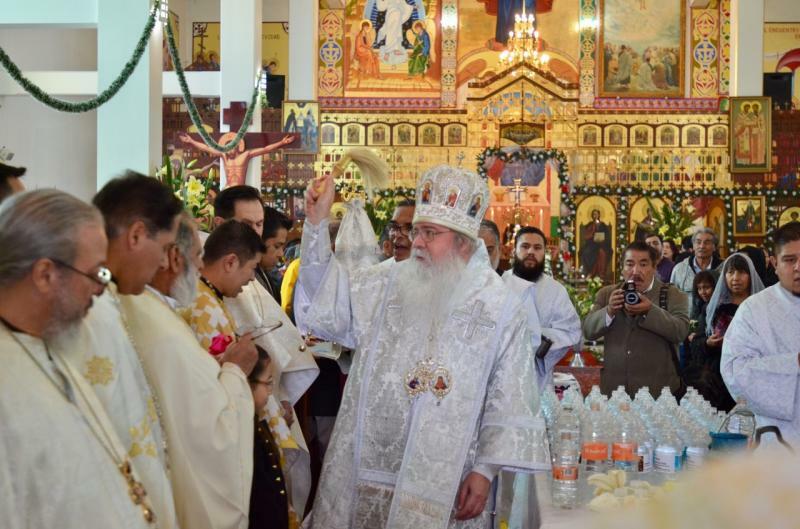 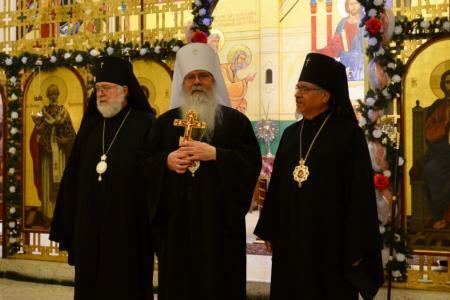 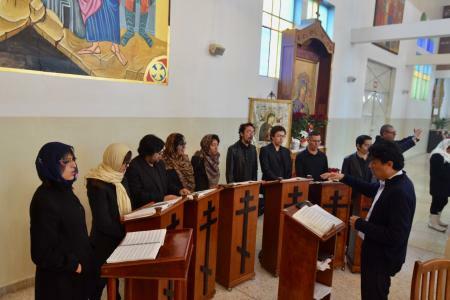 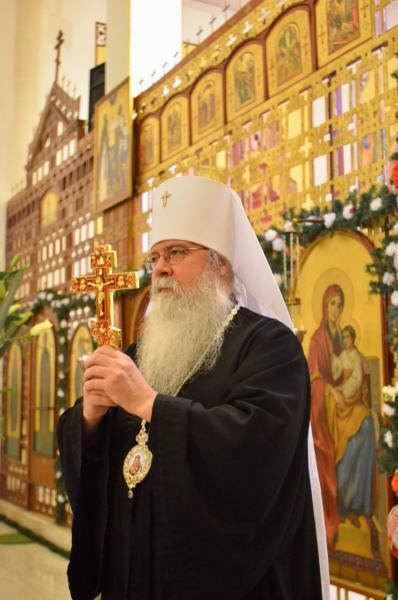 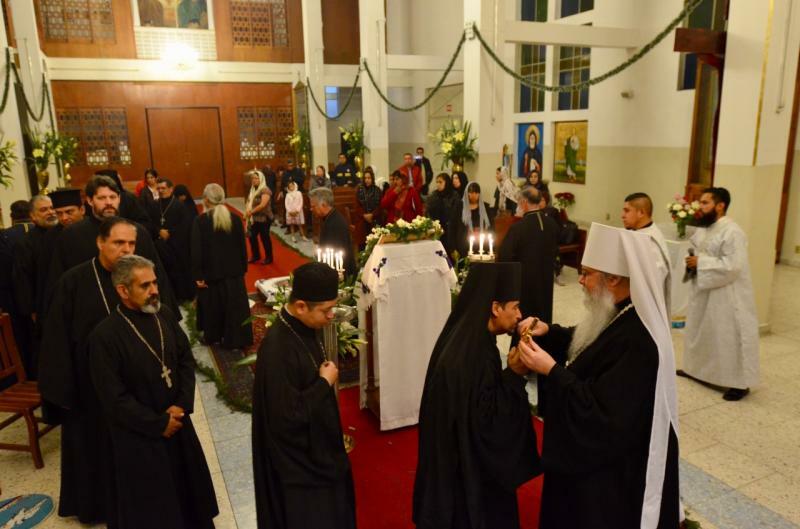 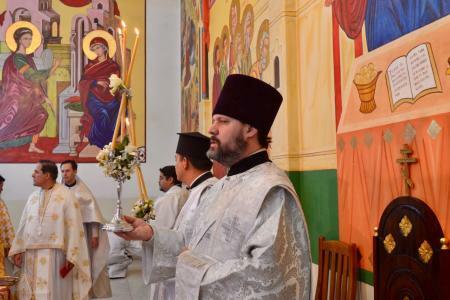 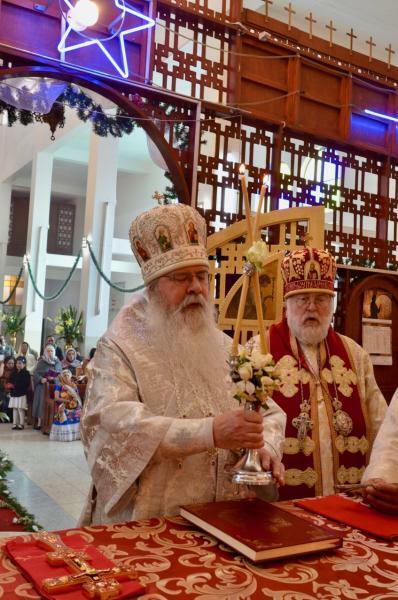 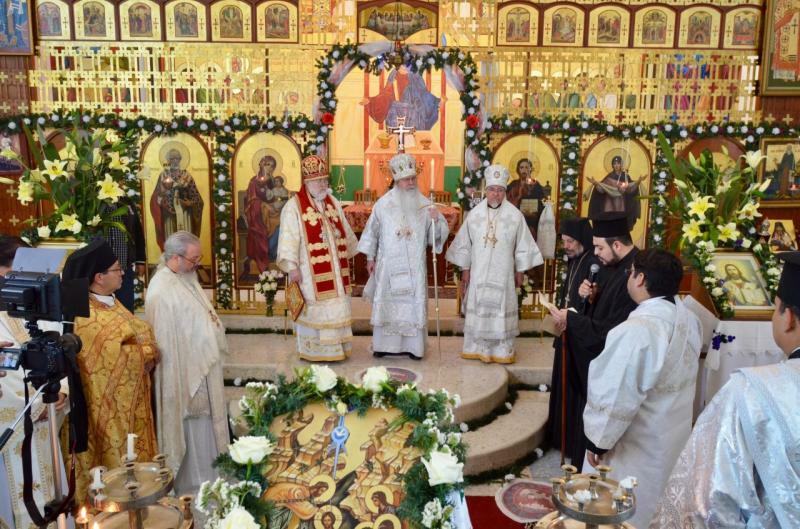 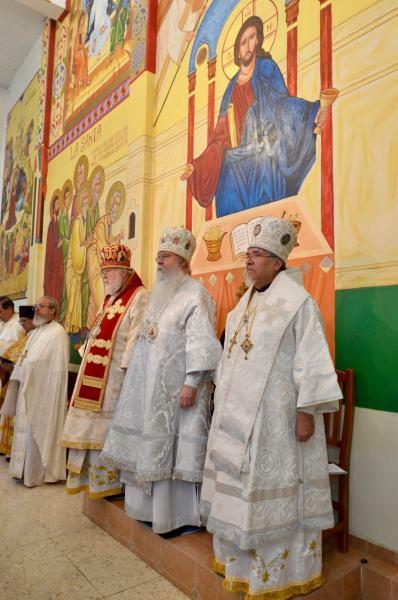 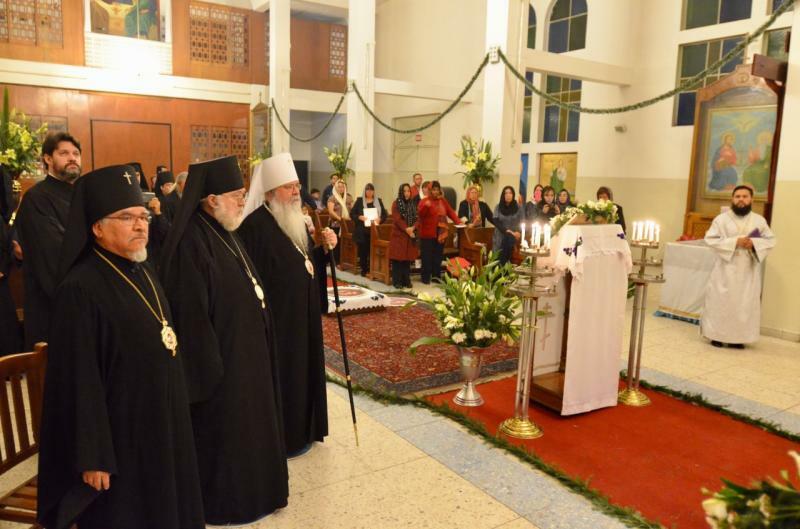 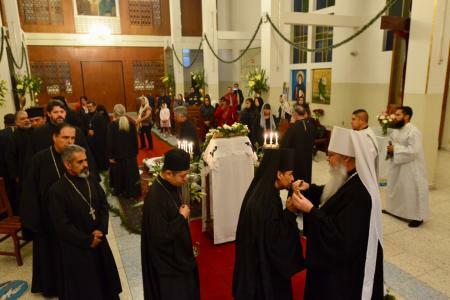 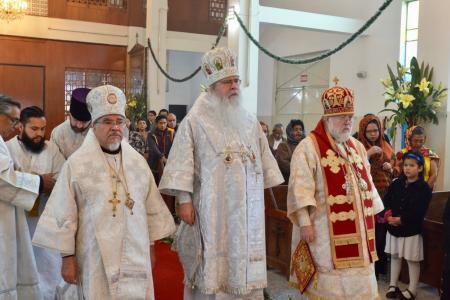 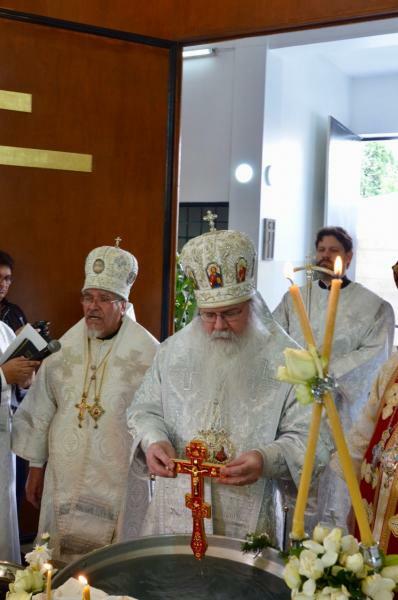 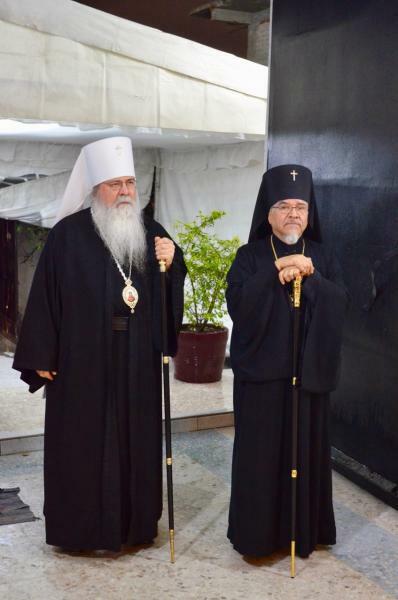 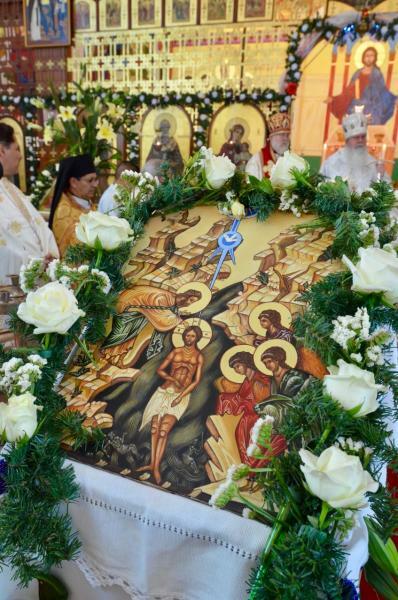 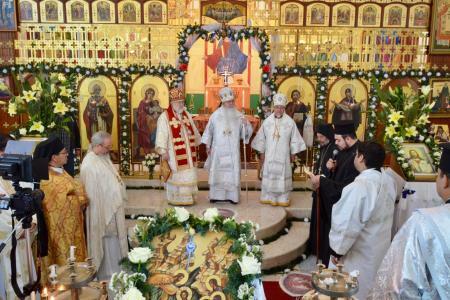 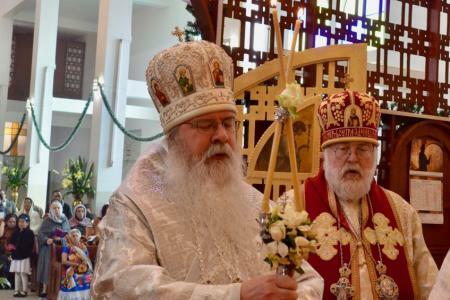 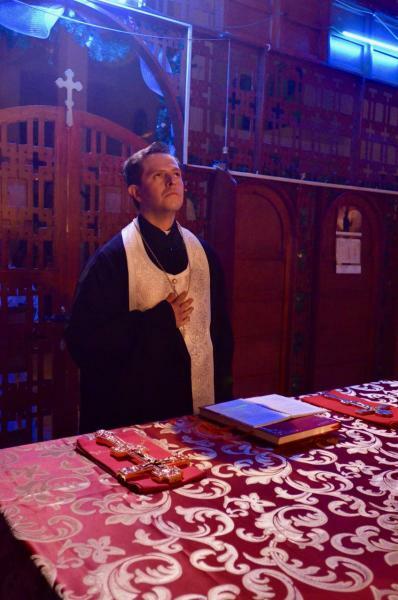 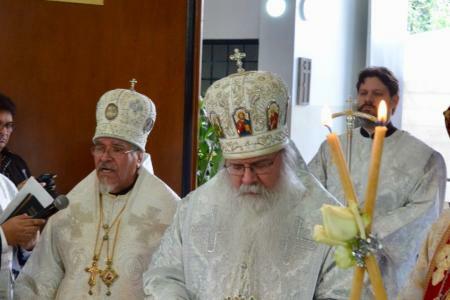 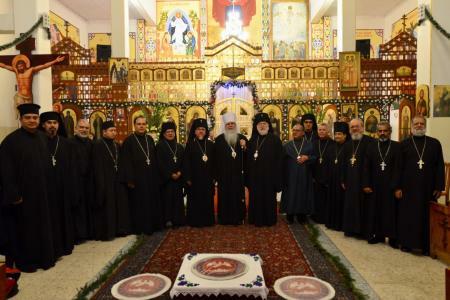 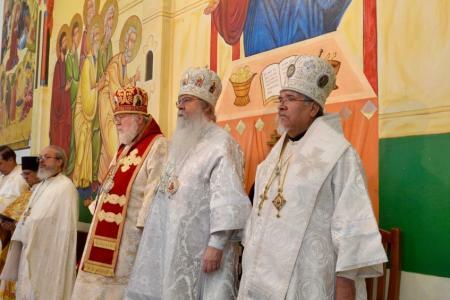 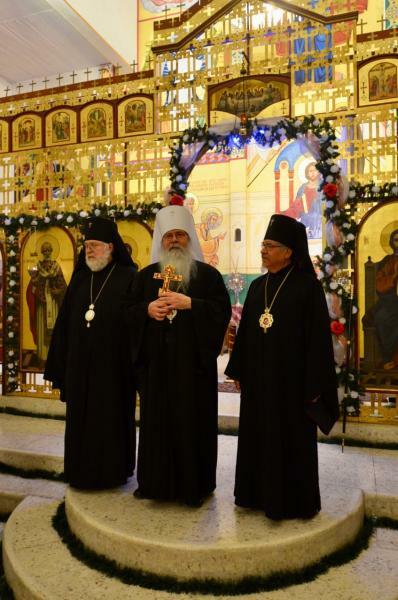 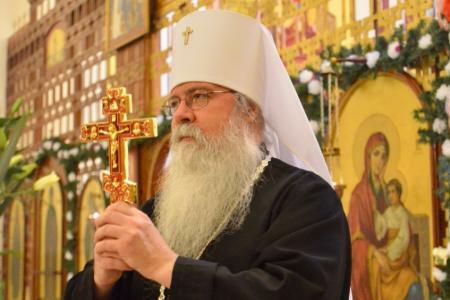 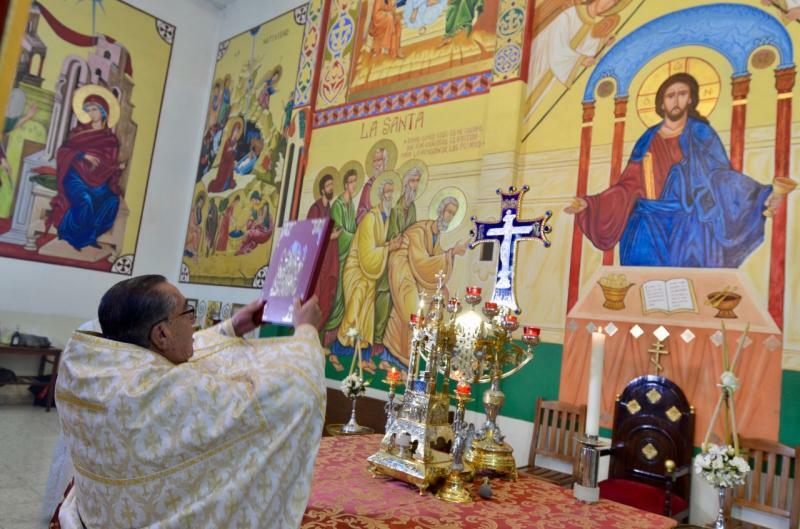 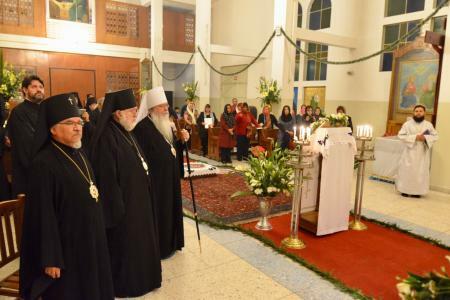 His Beatitude, Metropolitan Tikhon, accompanied by His Eminence, Archbishop Benjamin, made an archpastoral visit to the Orthodox Church in America’s Diocese of Mexico January 11-14, 2019. 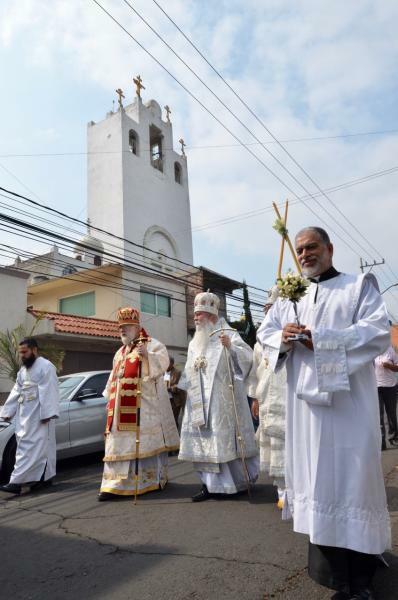 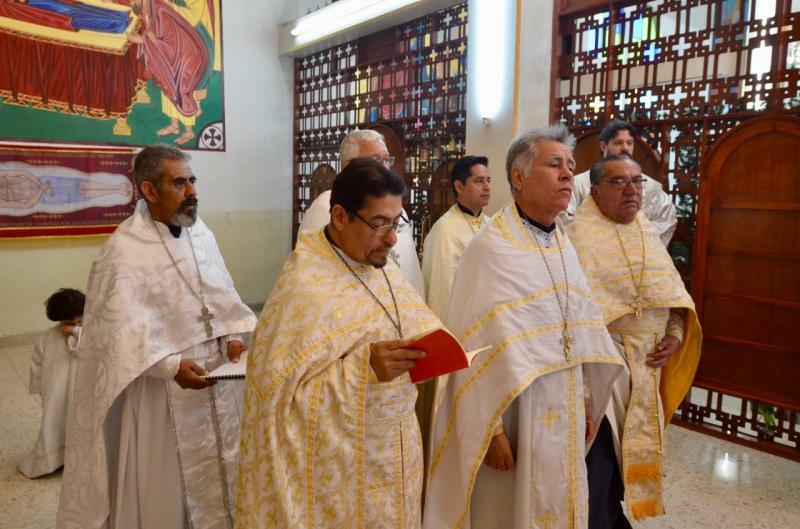 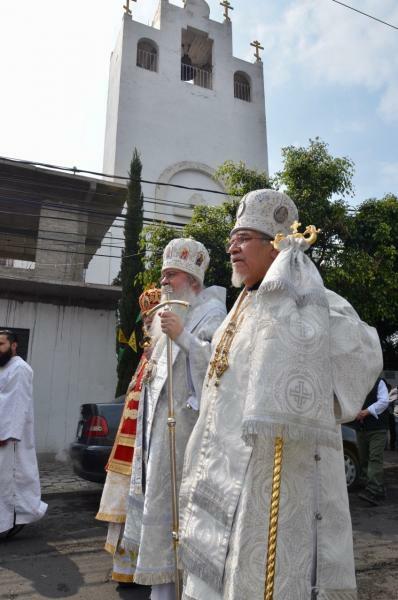 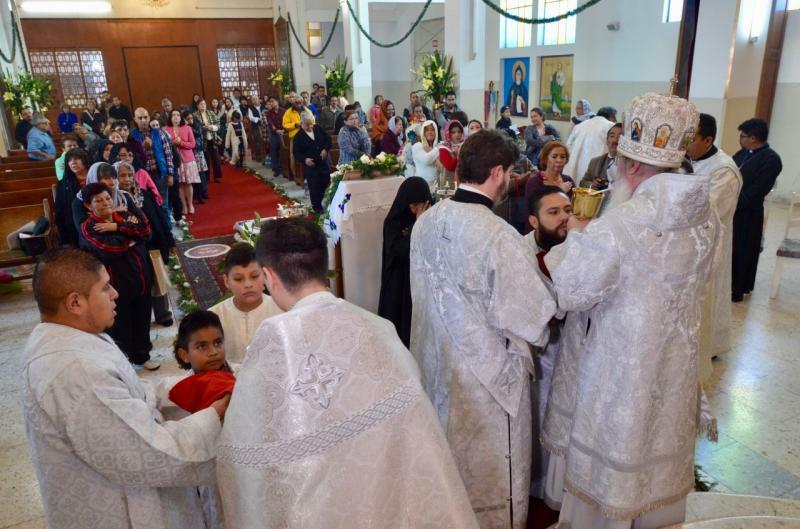 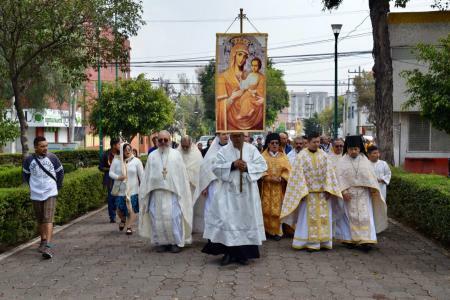 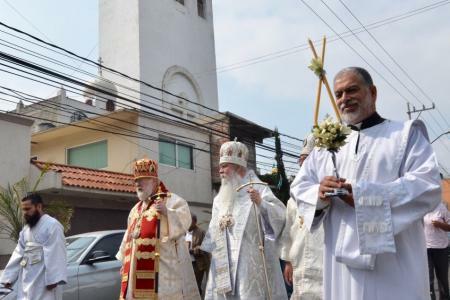 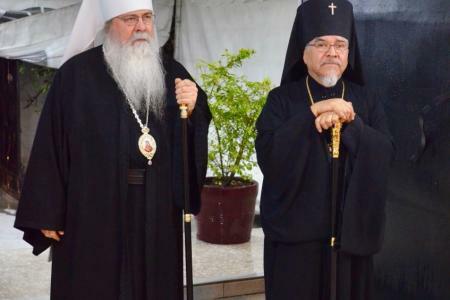 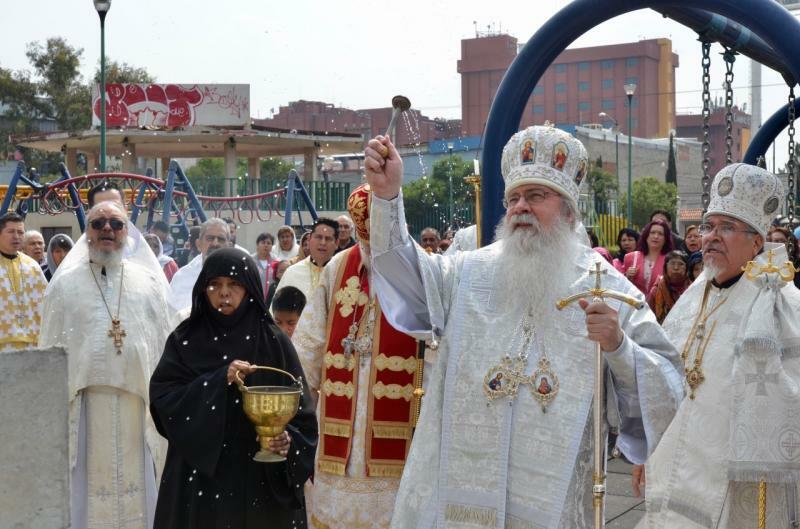 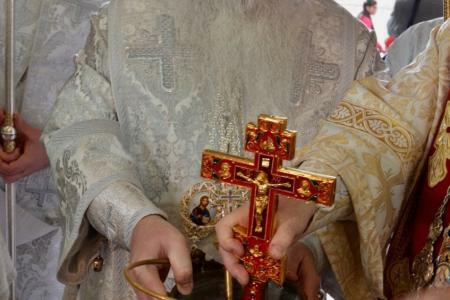 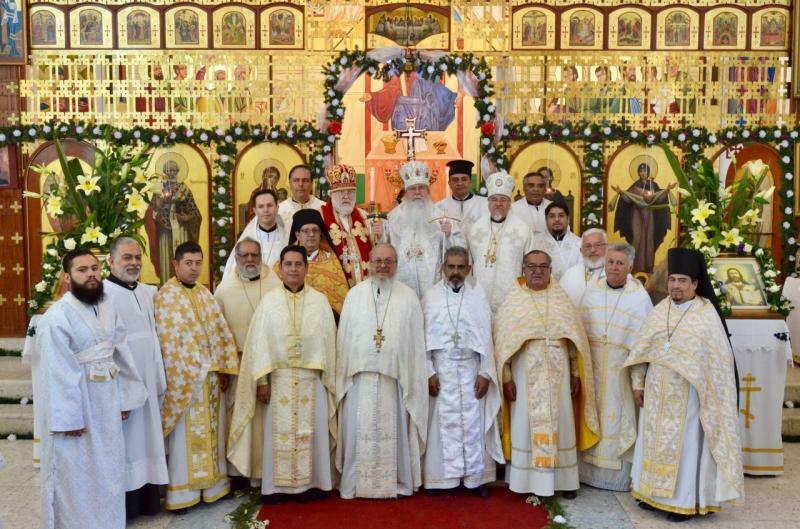 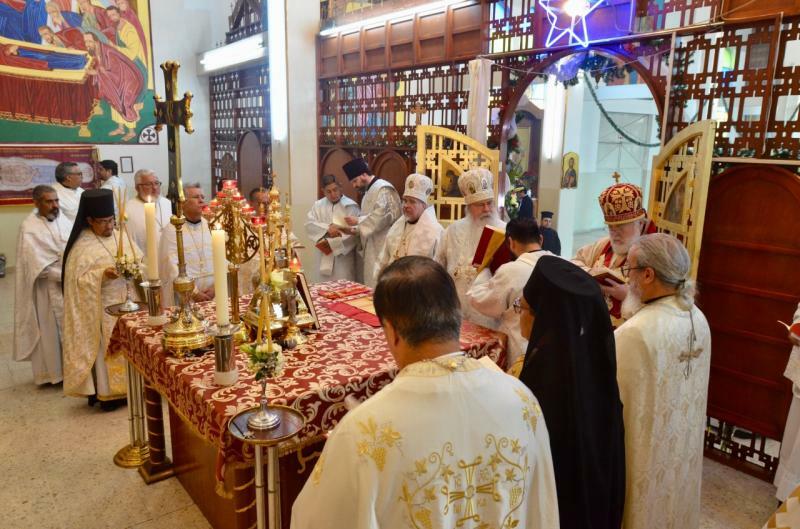 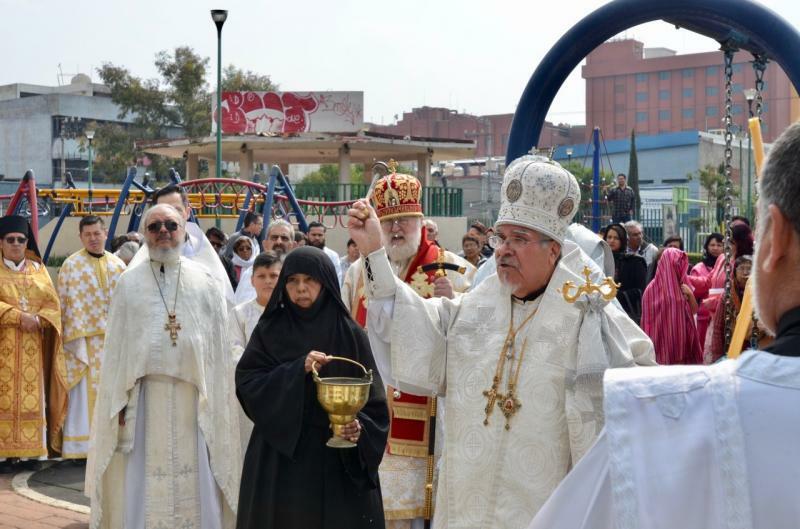 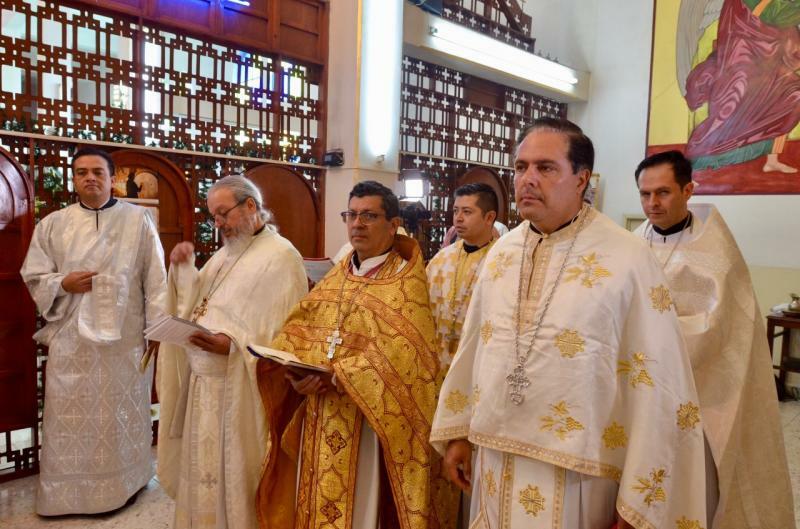 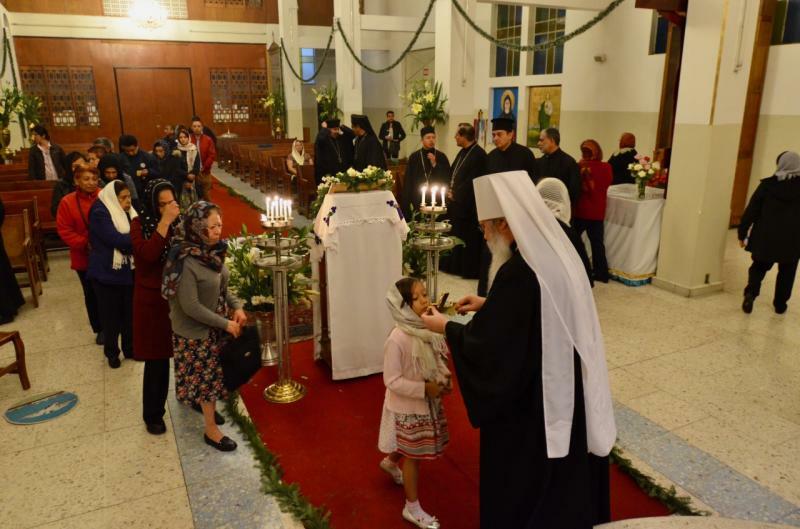 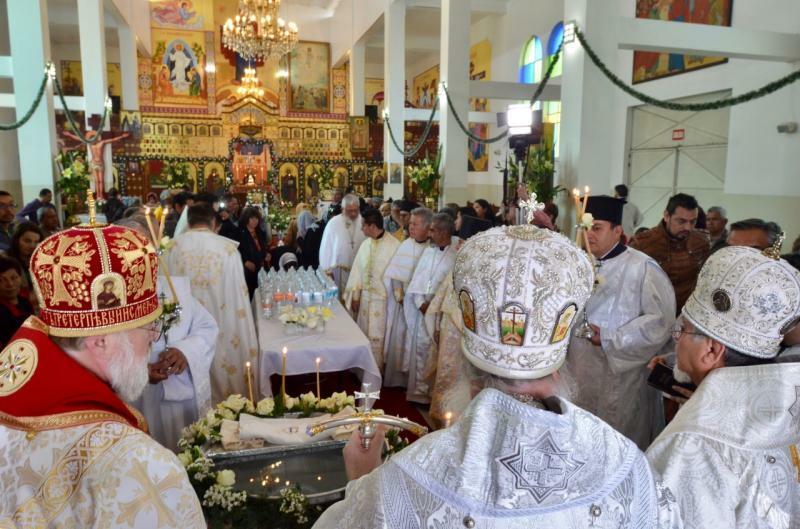 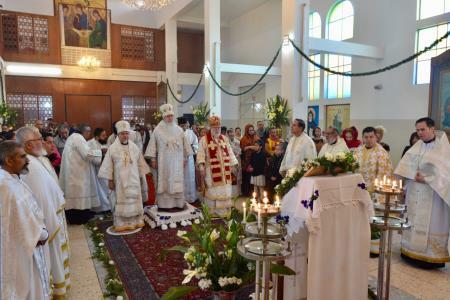 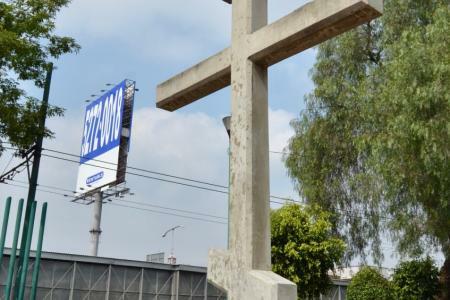 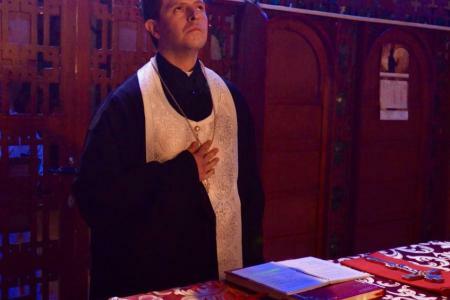 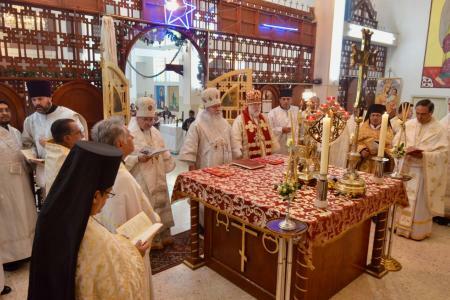 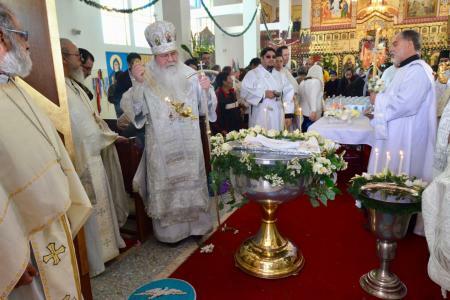 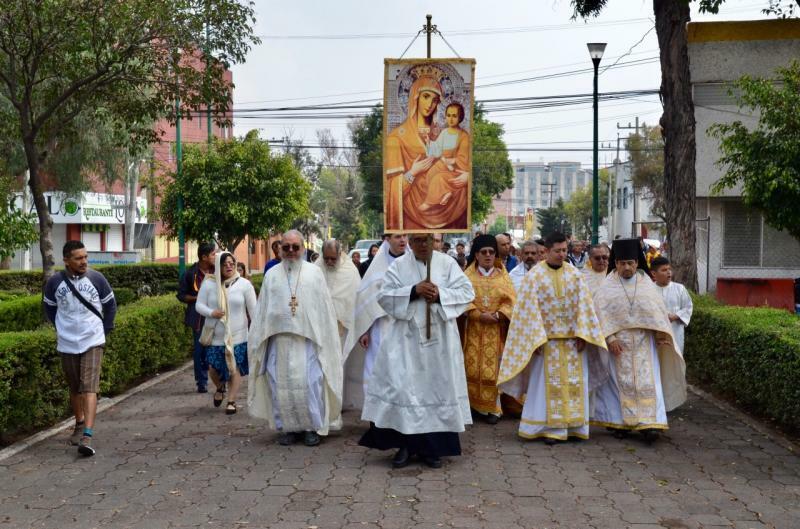 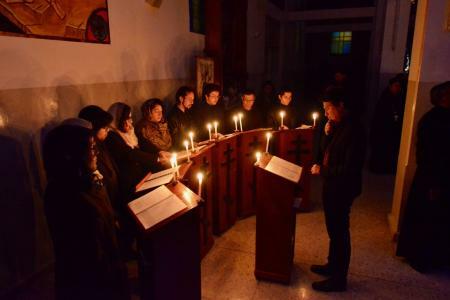 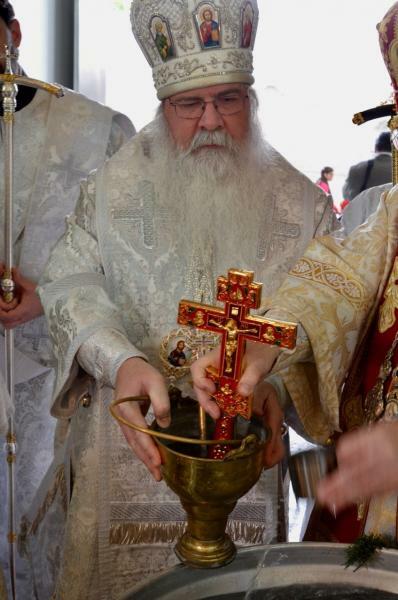 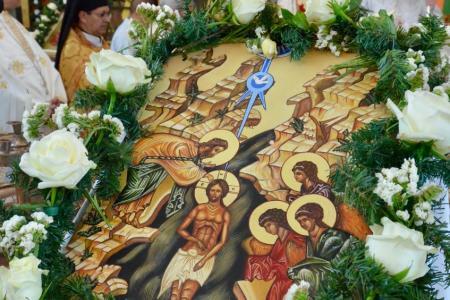 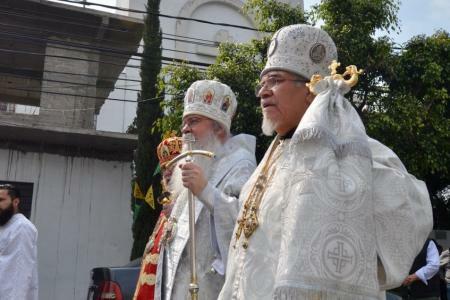 Hosted by His Eminence, Archbishop Alejo of Mexico City, the hierarchs attended Vespers on Saturday evening and concelebrated the Divine Liturgy and the Great Blessing of Water on Sunday morning at Mexico City’s Cathedral of the Ascension. 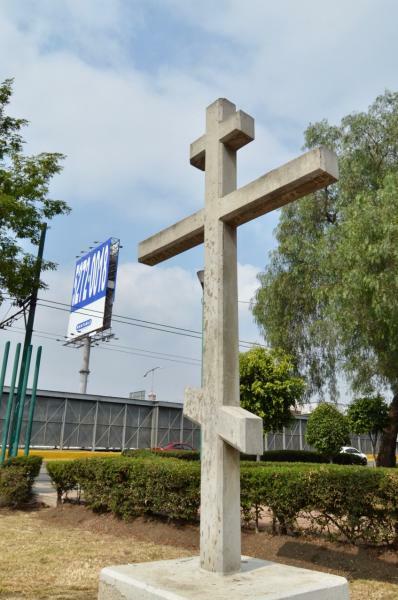 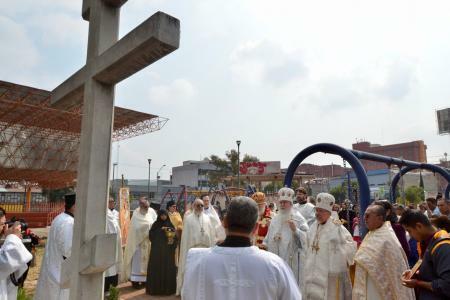 After the Liturgy, the hierarchs, clergy and faithful processed to the park adjacent to the cathedral, where they blessed the large Orthodox cross that had been planted there in years past.